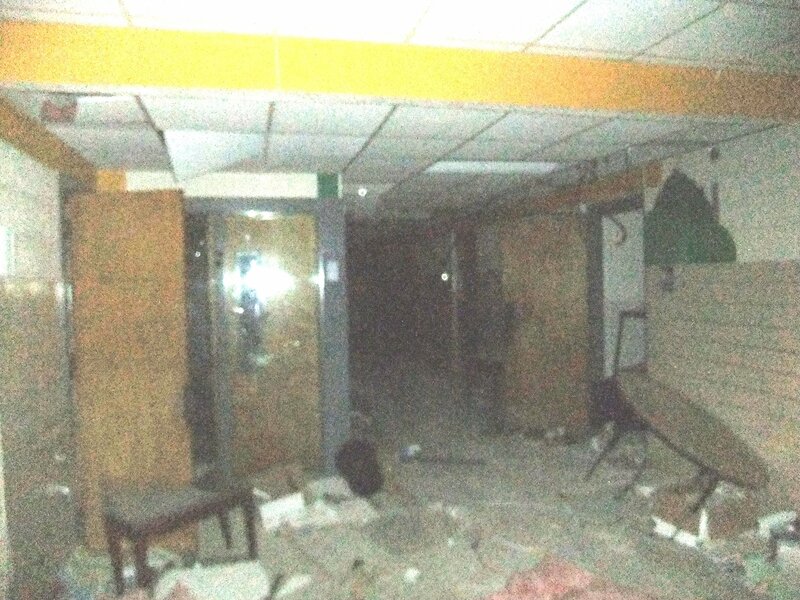 On Saturday, October 26, 2013, McLennan County Paranormal Investigations (MCPI), of which I am a member, held an investigation at the old Sul Ross Elementary School in Waco. The school was shut down and sold. It is supposed to be torn down in the near future. The owner let MCPI investigate it in early August and the second investigation on October 26 will be the last MCPI does at the school. The first investigation gave evidence that there are more than just the homeless inhabiting the school. We were looking forward to the investigation Saturday night to see what we might find with cooler weather and storms that went through that night. I was unable to participate in the first investigation, but was able to make this one. This investigation’s team consisted of Mike Jacobus, Cindy Jacobus, Dano Grooms, Bob and myself. 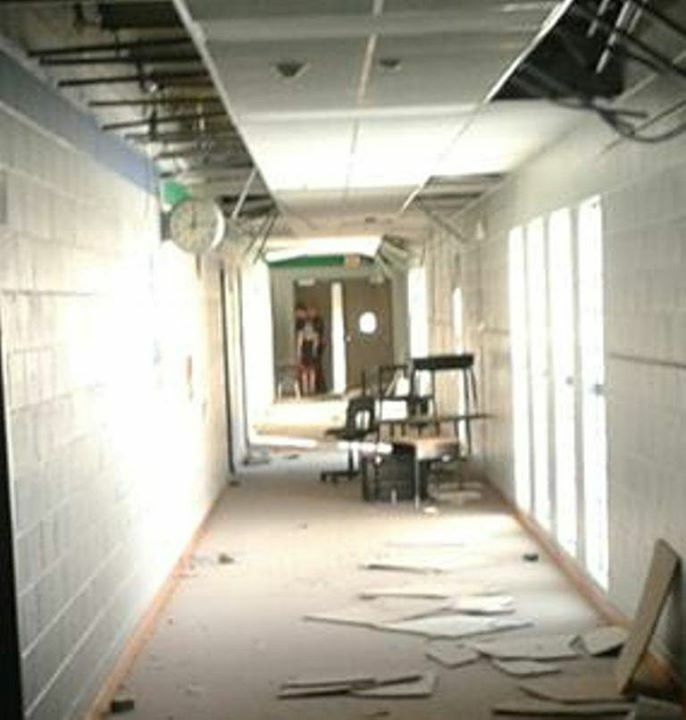 The format of the investigation was to roam around the school on the first and second floors and stop at points that it seems like a static investment would be profitable. I carried select equipment in a backpack, but the main equipment I used during the investigation was a voice recorder and a Fujifilm FinePix F72EXR camera. The camera has a 10 MP resolution with a 10x optical zoom. I also used an IR camera a little, but did not capture anything on it. The Fujifilm was my main tool. I took more than 400 pictures, taking them as fast as the flash charged in the area I used it. When the investigation came to an end, I gave the SD card from my camera to Mike. When he was checking the pictures on the card, he found several things that were of interest. One picture that really stood out captured a full-bodied shadow person. I am posting the picture here two times, once with a red oval to help locate the shadow person (sorry Mike) and the second will be without the oval. I am also uploading a picture from the August investigation in which Mike caught what is apparently a full-bodied apparition of a girl in a black dress at the end of the hall. She is standing between Mike and two policemen. I checked out the pictures of the policemen that were taken that evening and cannot see how the girl’s image is due to matrixing. By the way, the policemen were there to check out the building to make sure that no one was in it. The school is being used by homeless people as a place to stay at night.